Library Services and Technology Act (LSTA) grant projects engage Illinois residents through library technology, programs and services for lifelong learning, and services to persons having difficulty using libraries. Extend library services for all Illinois residents by providing access to information and ideas. This position is supported by providing diverse resources, whether virtual or tangible, embracing technology and sharing resources. Provide experiences supporting lifelong learning and information fluency to address the diverse needs of Illinois residents. Further a literate Illinois by creating a reading culture that encourages reading fluency for recreation and/or education. Previously funded projects can be viewed on the program website. Two financial requirements for receiving the federal LSTA funds are maintenance of effort and match. Under exceptional and uncontrollable circumstances, a state may apply for a waiver of the maintenance of effort. 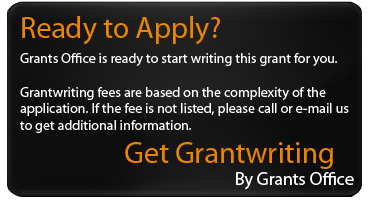 Contact the Illinois State Library at (217) 524-8836 for information on how and when to apply. The LSTA allotment for 2017 is $5,408,824. Awards will range from $1,000 to $1,500,000.